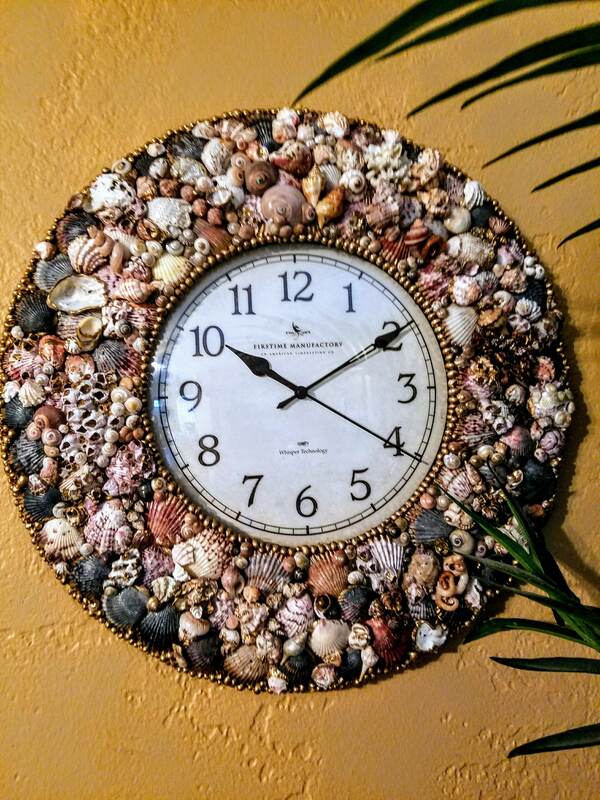 AWARD WINNING RECIPIENT OF THE 81ST ANNUAL SANIBEL/CAPTIVA GLOBAL SHELL SHOW; PROFESSIONAL DIVISION. 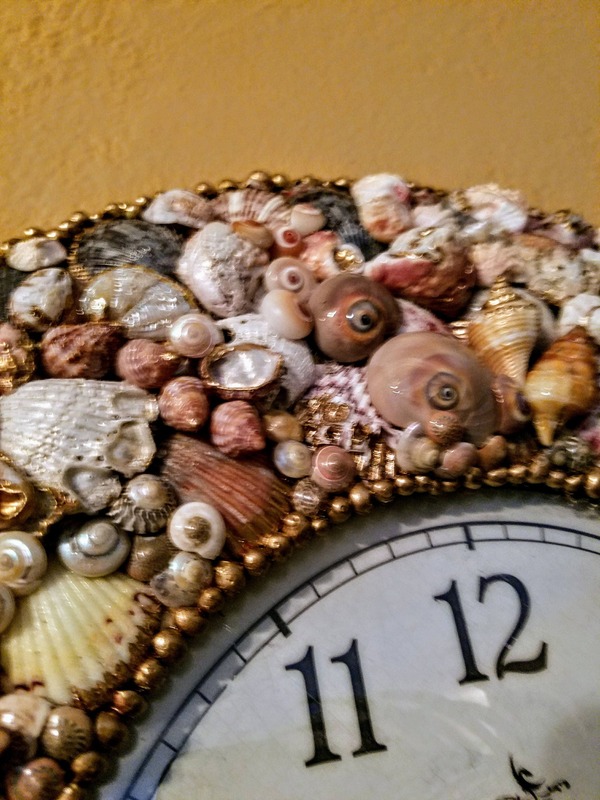 Presenting "Knight Into Day"; a magnificent display of seashell artistry combining extraordinary beauty and practical function. First of it's kind, this bold and beautiful masterpiece is part of Seashellabration's Estate Series, marquee, featured pieces. "Knight Into Day" is a true reflection of the ocean's version of hands of time. 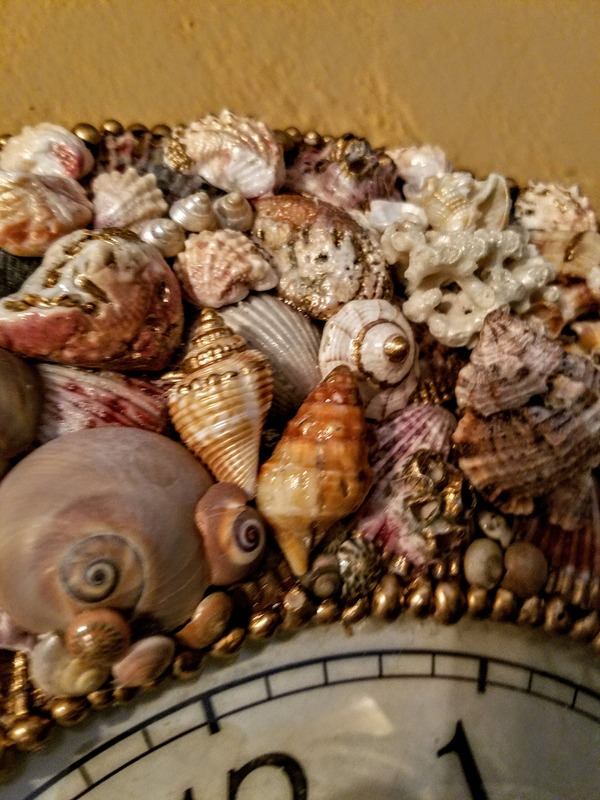 Utilizing species personally collected from it's private, namesake island beach, those aged and weathered, combined with personal, prized and treasured, uncommon seashell gems. 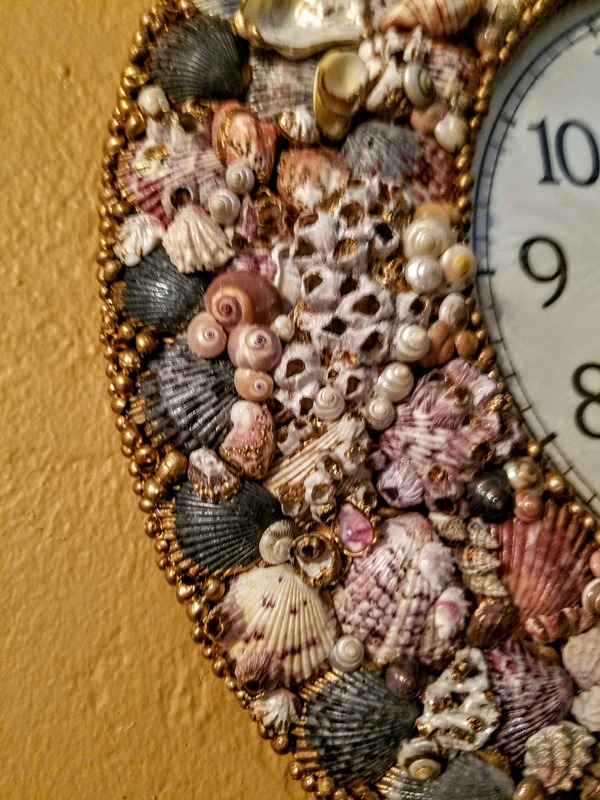 They marry beautifully in a piece that has no beginning, nor end; offering a spectacular display of seashell artistry so extraordinary and interesting, it is a truly a challege to describe. 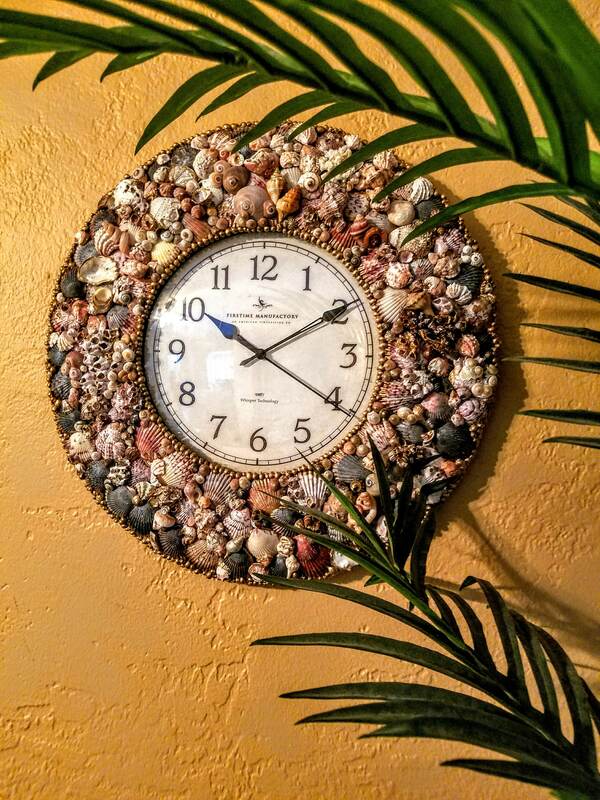 An amazing piece that will surely command the attention beyond that of an ordinary clock. 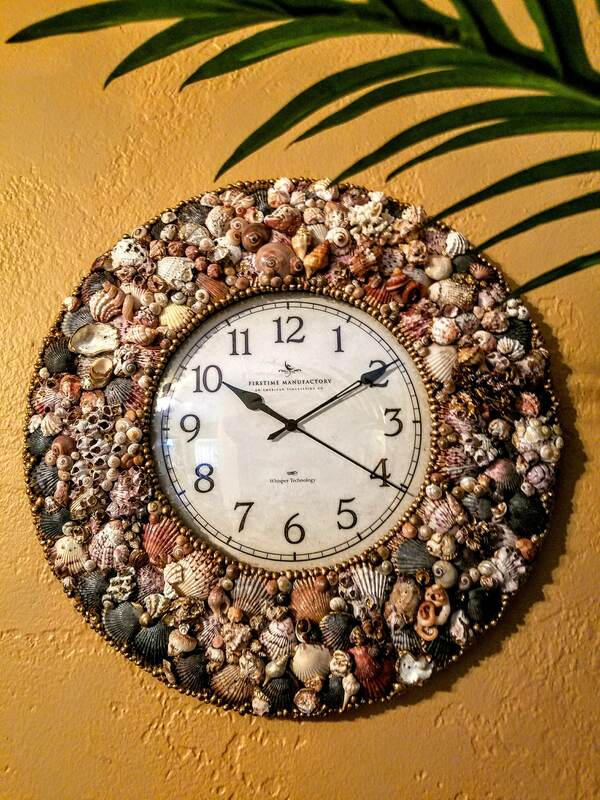 Instead, be prepared for this unique investment of functional art to become a conversation piece; a focal point in any room it adorns that truly stands the test of time. 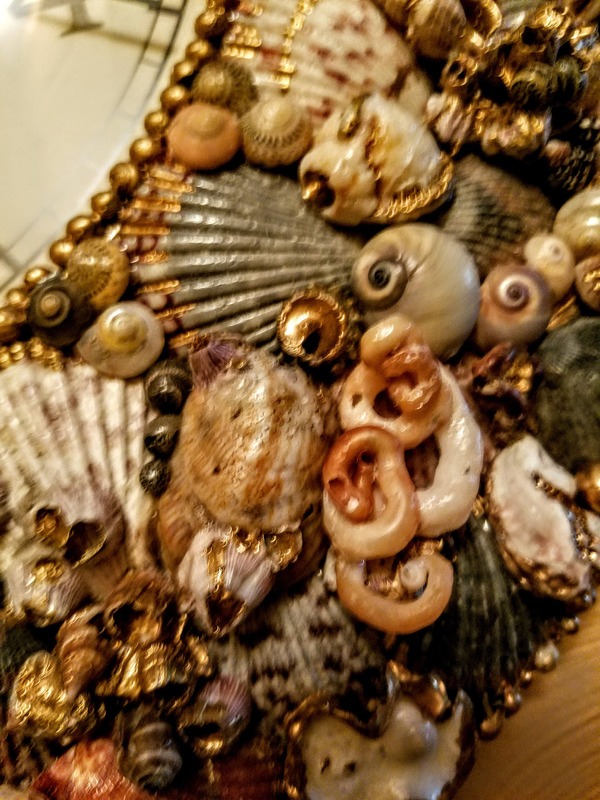 A plethora of species including gorgeous Shark Eye, native Corals, Nutmeg, Banded Tulip, Spiny Jewel Box, Apple Murex, peculiar Worm Shell intermix against a colorful Scallop canvas. 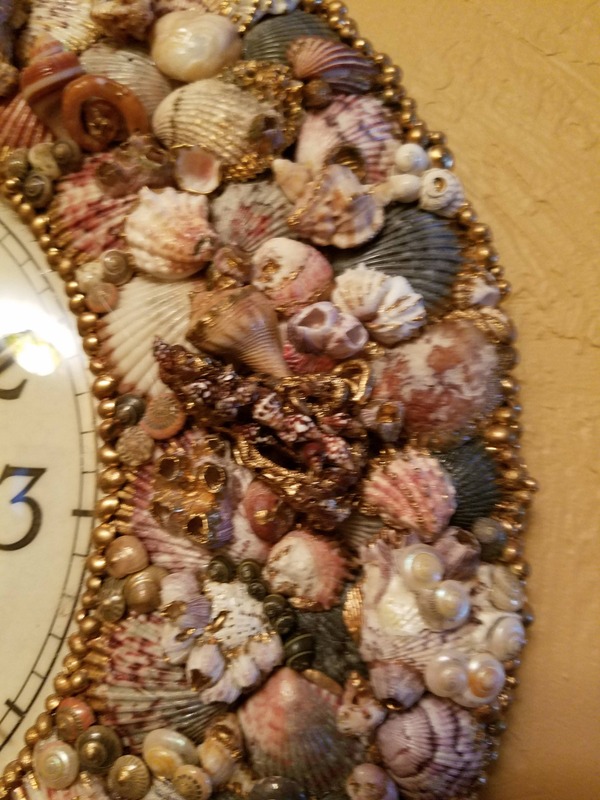 After meticulous placement, the seashells were carefully detailed in gold leaf and sealed to preserve brilliance of color. The time piece is of high quality, and chosen for it's classic appeal. It features whisper quiet technology, a glass domed face, black hands and numerals against an ivory background. It is set inside a round wooden frame base and operates on 2,AA batteries (included). The face is approximately 9" in diameter and the finished piece is 17" in diameter. 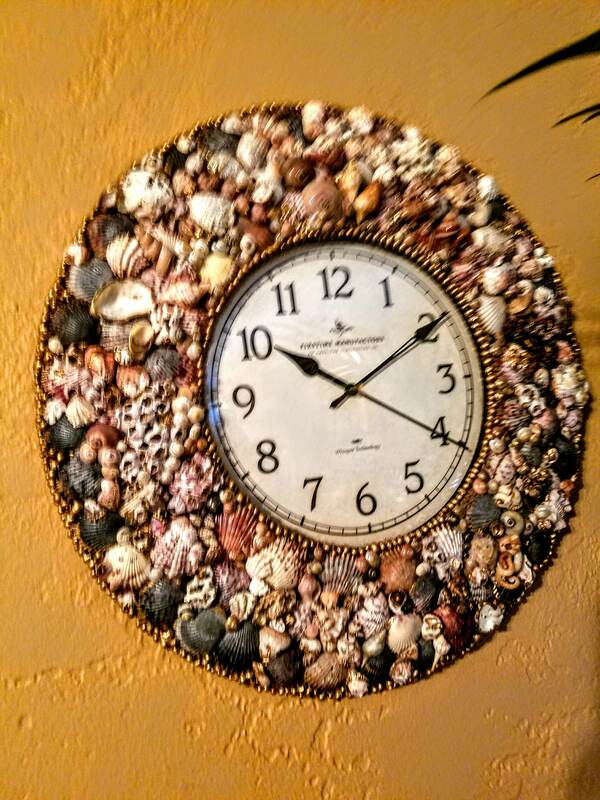 "Knight Into Day" will bring a timeless piece of the ocean into your home, yacht or estate, every day into night; every hour, minute and every second in between. Time waits for no one. Neither will this never to be duplicated, masterpiece of the sea. "Knight Into Day" is available for immediate purchase. Avoid exposure to direct sunlight. A cosmetic brush is included for ease of dusting. Hanging hardware attached.